Glenn Weiss, returning as Oscars director on Feb. 26, talks about his experience from 2016. 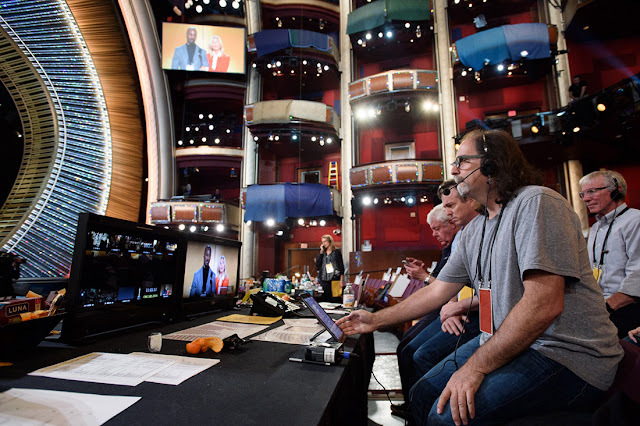 During his Oscars debut last year, telecast director Glenn Weiss felt the size, scale and intensity of the biggest awards show of the year. While he's directed live shows before, including the Tony Awards and the Emmys, Weiss says the Oscars are on an entirely different level. "The size and scale of the Oscars make it what it is, which is the granddaddy of them all," Weiss said. In a new interview published on the Academy's Medium page, Weiss talks about his experience last year and gives readers a behind-the-scenes look at how everything comes together for Oscar Sunday. Weiss will return to direct the 89th Academy Awards on Feb. 26. The ceremony will air live on ABC and in more than 225 countries around the world. 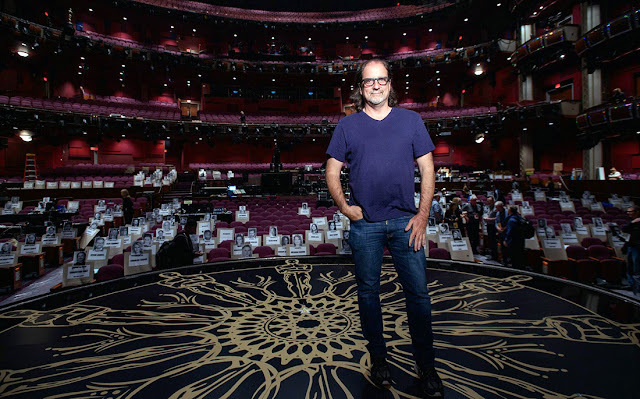 Glenn Weiss during rehearsals at the 2016 Oscars. Photos courtesy: The Academy. Work on the Oscars began back in late October, Weiss said. He worked with producers Michael De Luca and Jennifer Todd, along with production designer Derek McLane on set design and building the rest of the show from there. 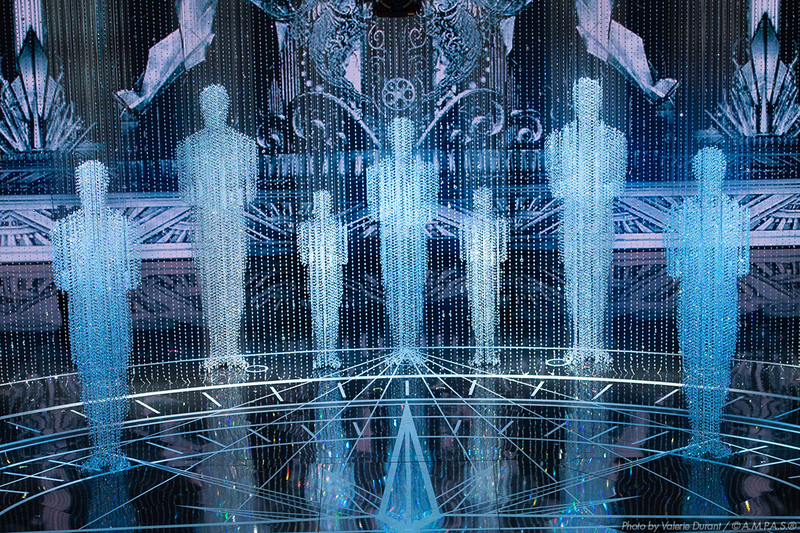 "Everything starts with what we make the Dolby Theatre look like that night," Weiss said. "From there, we work with the producers on the overall flow of the show: what is on tape, what is live; are we doing this as a tribute, are we doing this as a clip; those kinds of decisions." Weiss tributes collaboration for getting everything done before the big night. He spoke about final preparation inside the Dolby Theatre on Oscar Week, the week before the show. "It’s a great creative collaboration, and as we see things play out onstage, input from the crew involving their area of expertise is taken into account and helps refine our planning," he said. "It all makes the show better." Find the full interview with Weiss here. 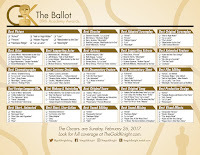 The 89th Academy Awards, for outstanding film achievements of 2016, will be presented on Sunday, Feb. 26, 2017, at the Dolby Theatre at Hollywood & Highland Center, and will be televised live on ABC and in more than 225 countries worldwide. Jimmy Kimmel hosts.